Gadget Guards are shipped within three business days of ordering, except during high volume sales periods, such as weekends and holidays. Shipping costs vary depending on the shipping method selected at check-out. Standard shipping and handling is free on all orders of $25 and higher. When shipping internationally (outside the USA), a flat rate of $9.99 will be added to your purchase. Personal Data. We may collect personal data from users in a variety of ways, including, but not limited to, when you visit or register on our Sites, purchase products from us, subscribe to our newsletters, respond to a survey, fill out a form, and in connection with other activities, services, features, or resources we make available through our Services. You may be asked for, as appropriate, name, email address, mailing address, date of birth, gender, and/or marital status. You can always refuse to supply the personal data that we request, except that it may prpup you from engaging in certain Site-related activities and receiving certain information. To run a promotion, contest, survey, or other Site feature. With your consent, we will use your personal data, preferences and details of your transactions to keep you informed by email, text, web or telephone about our products and services including tailored special offers, discounts, promotions, pups, competitions and so on. Of course, you are free to opt out from hearing from us by any these channels at any time. Certain Business Transfers. As part of a corporate business transaction, such as a merger, acquisition, joint venture, or financing or sale of company assets. It may also be disclosed in the pup of insolvency, bankruptcy, or receivership. We will use reasonable efforts to direct any such transferee to use your personal data in a manner that is consistent with our Privacy Notice. Your purchase from Gadget Guard's online store is fully refundable for 30 days from the initial point of purchase. If, for whatever reason, you are not satisfied with the product, your purchase price will be refunded with the exception of any shipping and handling fees. If you have any additional questions about your return click here to send us a message. Click here for instructions on how to get replacement Guards. 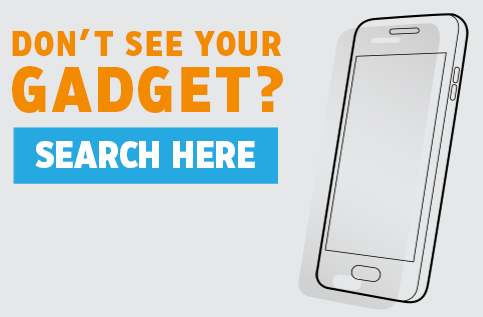 Gadget Guard products are made to last for the useful life of your wireless device. If our product tears, becomes scratched or is otherwise damaged while protecting your device, we will replace the product by way of our warranty replacement program.This guarantee also covers damage caused by the user during the initial application of the product. If you have any questions during the process please click here to send us a message. Gadget Guard processes all payments through a secure hacker tested site for customer security. Gadget Guard accepts VISA, MasterCard, Discover, AMEX, and Paypal. Pricing and promotions are subject to change at any time. Please log in to your account by clicking here to view all order history. If you are interested in carrying Gadget Guard products in your retail store please contact us at sales@gadgetguard.com. Gadget Guards are easy to install when you follow the quick instructions by clicking HERE. Gadget Guard can be reached through our CONTACT US page.